The United Urantia Family Festival team enthusiastically invites all readers of The Urantia Book to join together in California for this glorious celebration of our One Global Family… …related by Love! 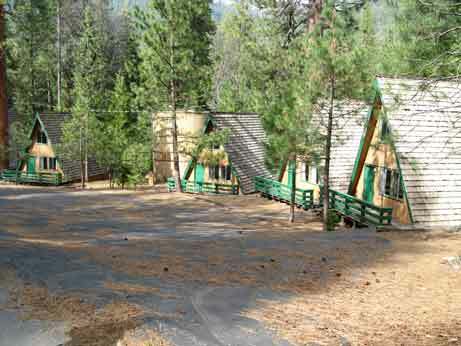 Camp Wawona (www.campwawona.org), which is located inside the beautiful Yosemite Park in California will provide the venue for our next Urantia Family gathering of 2013. 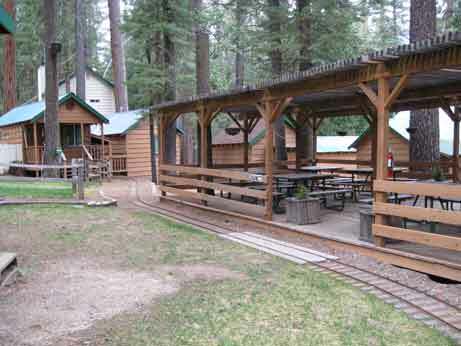 Out of town attendees will likely want to take advantage of the very affordable, comfortable accommodations provided at Camp Wawona, which offers various types of sleeping quarters as you can see on our Amenities page. We are presently working on making the final list of all the different choices of sleeping accommodations with their respective prices and we will be posting that list in the near future for you to make your selection. Camp Wawona will provide all breakfasts and lunches inside their cafeteria, and we plan on having all suppers outside at the covered picnic table area, which you can see on the second row of our Amenities page, with a variety of food choices available every evening. We are also planning a special dinner on Wednesday evening for Jesus' birthday done in a celebratory fashion. We are presently in the process of formulating the final version of the Program and we will keep updating it with new details throughout the year, so please be sure to regularly check back on the Program Page. For now, we can tell you that all mornings will include prayer & worship held outside at Camp Wawona’s brand new outdoor amphitheater, followed by presentations of importance for all of the Urantia Family members. At this time, speakers include: Gard Jameson representing The Foundation; Paula Thompson, Charles Olivea & Cristina Seaborn representing The Fellowship; Buck Weimer who promotes the UB internationally, Christilyn Biek Larson representing Cosmic Citizen; Teuvo Orjala and Angie Thurston representing Urantia Now and Urantia Family Ties, & Tony Finstad with Liz Craig representing YaYA group (Youth and Young Adults); MaryJo Garascia representing Truthbook.com; Jon DeToy representing South American outreach; and Jeffrey Wattles who will offer a presentation about John Muir, the co-founder of The Sierra Club, which has been integral in preserving the natural beauty of Yosemite National Park. Then, after lunch all afternoons will be devoted to exciting adventures to help develop familial bonding between all the readers present. We will then reconvene at supper time for a fun-filled family gathering around a cozy campfire area, under a majestic, star-studded sky. The price for the whole Urantia Family Festival, including 4 nights' lodging, 12 meals, family activities and the Festival fee is $400 US. Since the number of sleeping accommodations at Camp Wawona is limited to only 300 people, and because of the high interest being shown, we are asking all of you who seriously wish to join us and intend to be sleeping at Camp Wawona to commit by making a $100 US deposit. This will ensure your reservation to offset the high demand and the relatively limited number of sleeping quarters. Another deposit of $150 US will be asked again at the end of January, 2013 and the final balance owed will then be due in the spring time of 2013. This early registration will allow you to easily plan ahead for your family vacation next year and also book your flight tickets at a much reduced price. For those of you who intend to be sleeping at a nearby hotel, motel or public camping ground, we ask that you click here to send us an email and we will contact you to process your deposit separately. We encourage each one of you to register as early as possible in order to make sure you will have a place with us at Camp Wawona and Yosemite Park as we sincerely look forward to seeing you there with all of us! Please click here to learn more about the Registration process. For the sum of $35 US for round-trip shuttle service, participants will be shuttled from the airport on Tuesday August 20, and back to the airport on Saturday August 24. The shuttle will run about every 2 hours to allow for an easy flow of transportation for all the attendees. If you prefer, you will also be able to rent a car at the Fresno Airport by clicking on this link - www.rentalcars.com/Fresno-Airport.